Your destiny is not engraved in stone. You have the power to change your destiny. Truth in a poem is always hard to comprehend. While everyone is sleeping, I walk through the conscience of the mind from the day before. I hold hands with forgotten words like compassion, empathy and hope. Hearing their stories of how they were once respected, but now they have been out casted and have faded away. These words go unheard of for hours and sometimes for many days. They take my hand once again and walk me to the horizon of this world. They bow their heads in shame because hope is now terminally ill. They shield their eyes because dawn approaches their small world once again. I gently tuck them back into the silence of the night. The dawn is now in my sight. I pick up my pen and watch my army of words march from paper to your heart, soul and mind. I am a dreamer and I must keep these words alive. 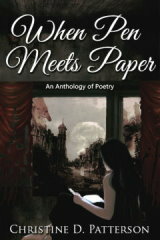 My poetry books are based on what I see in this world of today. I do not sugar coat the poems that I write. Truth is much harder to except. As poets, we write the words on paper. It is up to the reader to acknowledge and comprehend the meaning. 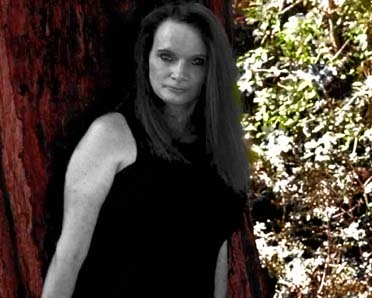 My novels are for the readers who like to take the road to the unexpected not knowing if you will make it back or not. My children's books are for the ages of 3 thru 7. The books teach colors, numbers and friendship. The books also give me a chance to put a smile on a child's face when their day is not going well. .
or click on the book title for more information and links. Click on the book title to read discription. Words can be enlighten or distructive. Choose your words wisely. 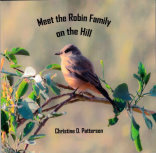 Here is the story of Lisa the Robin, her family, and friends on the hill. Come with me on this journey so I can show you what this Poet sees. The 103 poems in this book is what humanity is failing to see. I write poems for all occasions. If you need a poem written for a special occasion do not hestitate to contact me. Books By Angel is committed to protecting the privacy and accuracy of confidential information to the extent possible, subject to provisions of state and federal law. Other than as required by laws that guarantee public access to certain types of information, or in response to subpoenas or other legal instruments that authorize access, personally-identifiable information is not actively shared. In particular, we do not re-distribute or sell personal information collected on our web servers. Books by Angel. servers collect the following analytics: •	Internet Protocol (IP) ,web pages requested, referring web page, browser used and date and time Books by Angel does not associate this data to individual user identities. This information is used to improve web presentation and utilization. IP address information may also be used for troubleshooting purposes. This website may contain links to other web sites. Some of those web sites may be operated by third parties. We provide the links for your convenience, but we do not review, control, or monitor the privacy practices of web sites operated by others. We are not responsible for the performance of web sites operated by third parties or for your business dealings with them. Therefore, whenever you leave this web site we recommend that you review each web site's privacy practices and make your own conclusions regarding the adequacy of these practices. This Privacy Statement was last revised on August 07,2014. We may change this Privacy Statement at any time and for any reason. We encourage you to review this Privacy Statement each time you visit the web site. Welcome to my world of writing. 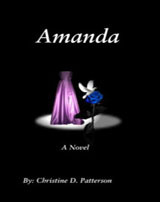 Amanda is a masterful novel about love, death, honor, and betrayal. The story takes place in the sleepy little town of Orion Bay. Orion Bay was a fishing town that was in need of improvements. That is until a young and handsome man named Michael Brooks came to town. He began to work for Watson Enterprises. In one year, Michael was named Architect of the year. He had three best friends who also worked for the firm. Their names were; Jason Hampton, Brain Pines, and Reggie Carter. There was nothing that Michael friends would not do for him. Little did his friends know, Michael had a dark and twisted side to him. Michael would lead the whole town into a world that would change everyone's lives forever. Come take a ride with me to Orion Bay. Once you walk into this once sleepy town, you will never be able to leave. Your taxi is waiting. This book has been edited as of 10-13-2013. This is the new version. This book replaces the 2007 version, one review is from 2007 because the old version has been linked to the 2014 version You are about to take a journey back in time. This story takes place some forty years ago, where the word "abuse" was considered taboo. Within the pages of this book, is the horrific story of one little girl's life. Nikki's adopted parents, the Taylor's, had the entire justice system convinced that Nikki was insane. Nikki had been living in an unthinkable hell for years. Unfortunately, when the truth finally came to light, it was too late. Her story is one of the most shocking cases of child abuse, which never had the chance to be heard. It is time to hear Nikki's story, the side no one would listen to, until now. 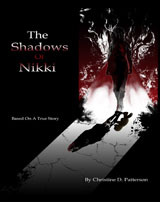 "The Shadows of Nikki," is based on a true story of adoption and abuse. What you are about to read, is graphic and terrifying. This book is not intended for under the age of seventeen. Parental discretion is advised. This is the new challenge for the world to embrace. It is called child abuse. We have the power to stop this vicious cycle that has plagued our children for years. Humanity is a complex species. We have been taking the gifts of this planet for granted since the dawn of time. We have the mind set of whatever this Earth has to offer, it is ours for the taking. Compassion is losing ground with the sands of time. The future of our children is at stake. We have no time to contemplate on such matters anymore. Tree and flowers that once lined our streets and parks are now dying before our eyes. The bees that we need for our food source are almost extinct. The question is simple; "What will become of humanity when our food source runs out." 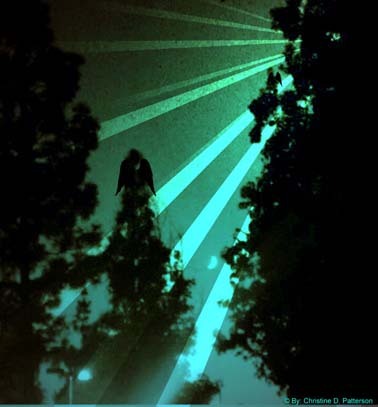 These thirteen stories are created from fiction. However how many of them are starting to become reality before our eyes. Humanity has the power to change before it is too late. Each story is created with the reader in mind, to see an ending in your own eyes and mind. Our sky is being highjacked by strange objects and clouds. These forces are killing all life forms on the planet. 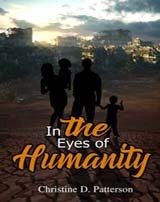 These book has 97 photographs showing there is something wrong in the sky above humanity. What questions will you have once you have completed this book.